Show our heroes that we support and appreciate them. 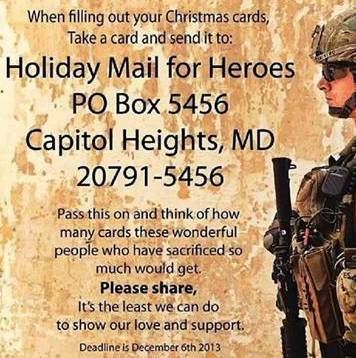 Along with a Christmas card, send a message of hope and encouragement to those heroes who protect and defend us. Deadline is December 6, 2013. Let’s shower our troops with a show of support!